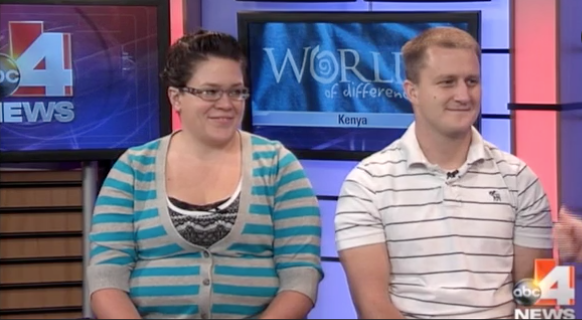 World of Difference Team Members Brian Thornock and Amanda Hicks share their experience visiting an orphanage in Nairobi. SALT LAKE CITY, Utah (ABC 4 Utah)- 62 people are dead and dozens of others injured. Now, people from Kenya who live in Utah gathered for a prayer vigil Monday night at the state capitol for the victims and their families. A brief moment of silence at the Utah State Capitol comes just hours after chaos and confusion at the hands of terrorists in a Kenyan mall ends. “That is really devastating to us,” said Kenya Musungu. Reporter’s note: The horror that played out in a Nairobi mall has focused the world’s attention on Kenya. This week ABC 4 Utah is also focusing on Kenya, but for a very different reason. World of Difference, a non-profit foundation based in Utah County, recently organized an expedition to Kenya to build a school in a poor neighbor of Embakasi. The founders of World of Difference, Dr. Richard and Jodi Nielsen of Salem, have a track record of success in Kenya and were honored this year as “International Heroes” by the Utah Chapter of the American Red Cross. These reports are my first hand account of the work they do and the lives they change.